We are looking for an Interim Deputy Manager to support our 3 homes in the Cheshire area to support our General Managers with Care Management, Care Documentation. The invividual will be given key ad hoc projects to work on during this short contract. Working as part of a highly committed team at Sunrise the Deputy Manager is one of the key roles within our communities. As Deputy Manager you will put the residents care and wellbeing at the heart of everything you do. 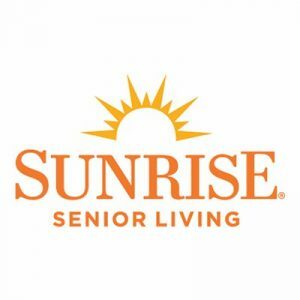 At Sunrise we pride ourselves on the warmth and support we provide to our residents and their families. We promote independence, dignity and quality of life at all times in a person centred caring and supportive environment. As Deputy Manager you will be responsible for ensuring that through clinical governance and leadership the care, health and safety of all residents is effectively assessed, planned, implemented and evaluated. The Deputy Manager is a motivational and inspirational leader, who has the ability to motivate, engage, and exercise leadership throughout the team with an open communication style. The Deputy Manager Is able achieve a high standard of clinical care by auditing, analysing trends and directing care team to deliver results. A key to success in this role is the ability to communicate with ease to the Care Quality Commission, Social services and the Safeguarding teams. The ability to implement action plans for improvement and build a reputation of high quality care delivery for the community.